Fresh seafood platters, spectacular view. A family tradition for over 30 years. Seafood favorites and the best burger on the beach, in an open air environment for all to enjoy. Fishing tournaments, community events, live music and entertainment, all in one place. A full-service marina located on the intracoastal and Stingaree Cut. Get the latest news and announcements from the Stingaree Restaurant. We'll let our customers and news media describe the view, tradition and fresh seafood. This is seriously some of the best seafood I have ever eaten. Known for our incredible views almost as much as our fabulous seafood, Stingaree Restaurant & Marina is not just a unique place to eat, it’s a travel destination. 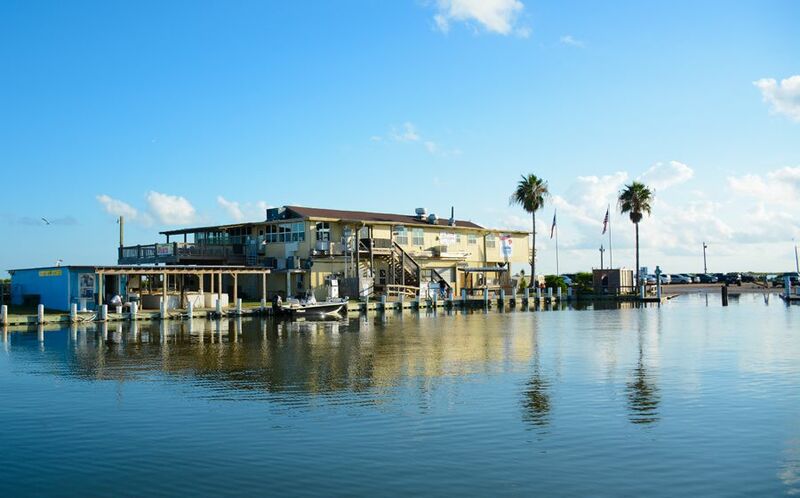 Located on the Intracoastal Waterway at 1295 N. Stingaree Road in Crystal Beach, Texas, watch watercraft of all kinds cruise the canal as you enjoy delicious selections from our extensive menu. Opened in 1986 by Jim Vratis, Jim and son Brad are still at the helm greeting customers, busing tables and making all their guests feel right at home. You won’t taste fresher seafood unless you catch it yourself (by the way, we’ll cook your catch for you too – “you hook ’em, we cook ’em!”); a variety of seafood platters, shrimp, snapper, seafood gumbo, fresh oysters cooked five ways, our famous Boscos barbecued crabs and much, much more. Of course, we also have classic American favorites like chicken fried steak, rib-eye steaks and grilled chicken as well as desserts to die for and a full service bar. Visit our main dining room upstairs for a birds-eye view of the bay, or grab a beer and a platter of crawfish and catch a live band in the cafe/cantina downstairs in DownUnder. Watch a spectacular sunset over Galveston Bay while you sip an ice-cold Stingarita… you’ll be hooked on the Stingaree experience!